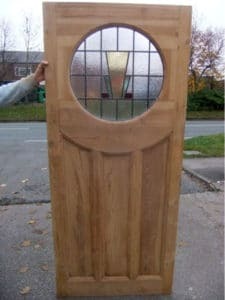 If you like this door design, we can recreate it to your exact specifications. 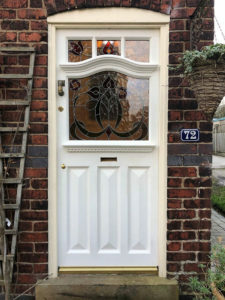 Note this project number and request a quote. 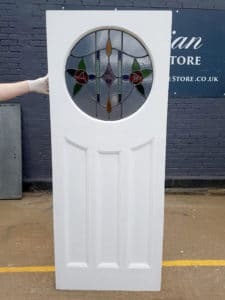 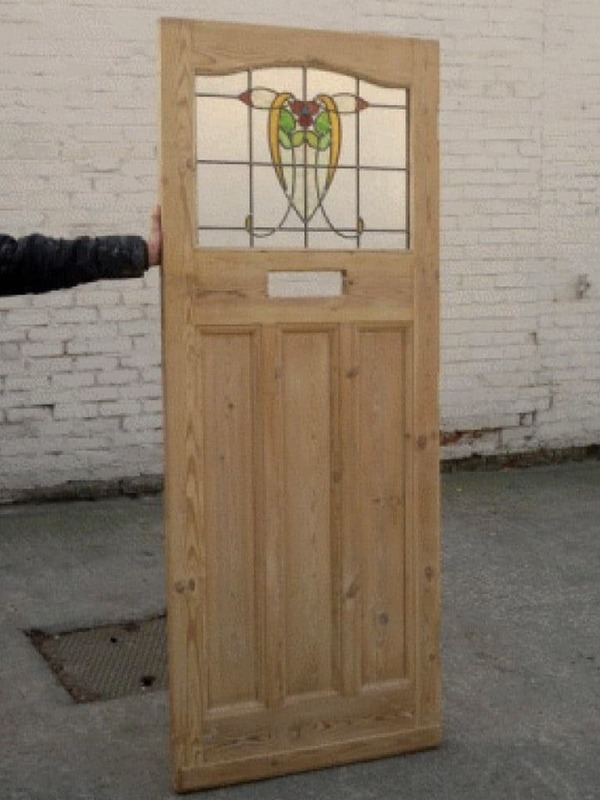 View our wide range of fully bespoke front door designs. 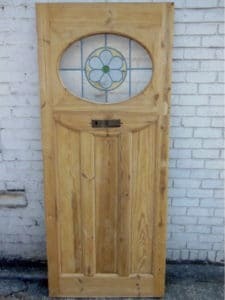 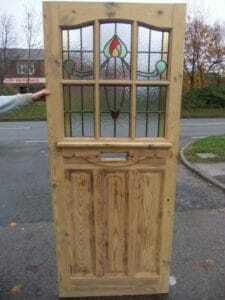 We stock and supply hundreds of original reclaimed doors. 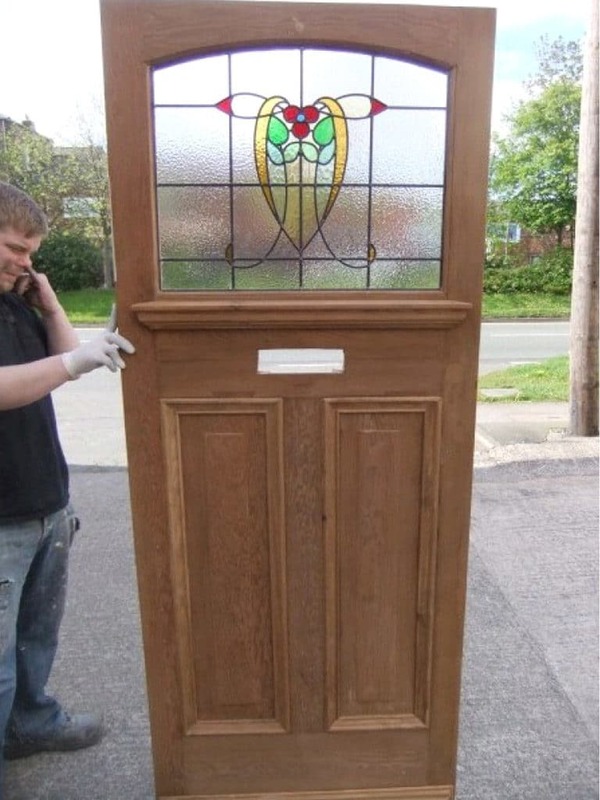 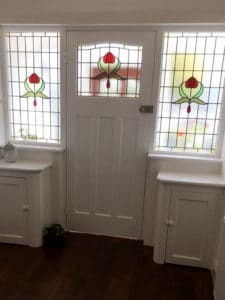 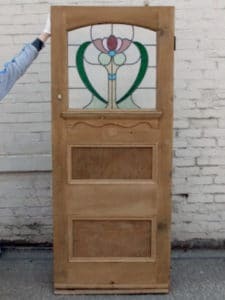 A traditional 1930s stained glass exterior door with three panels and a mid rail. 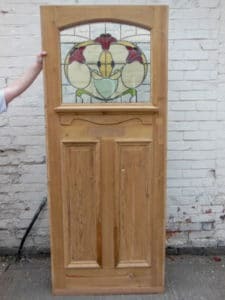 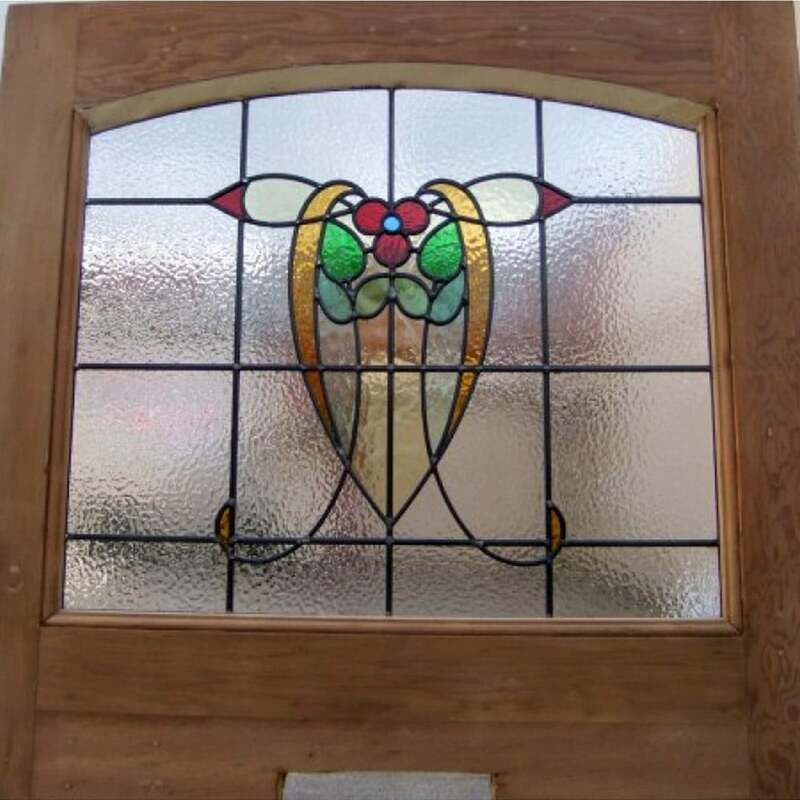 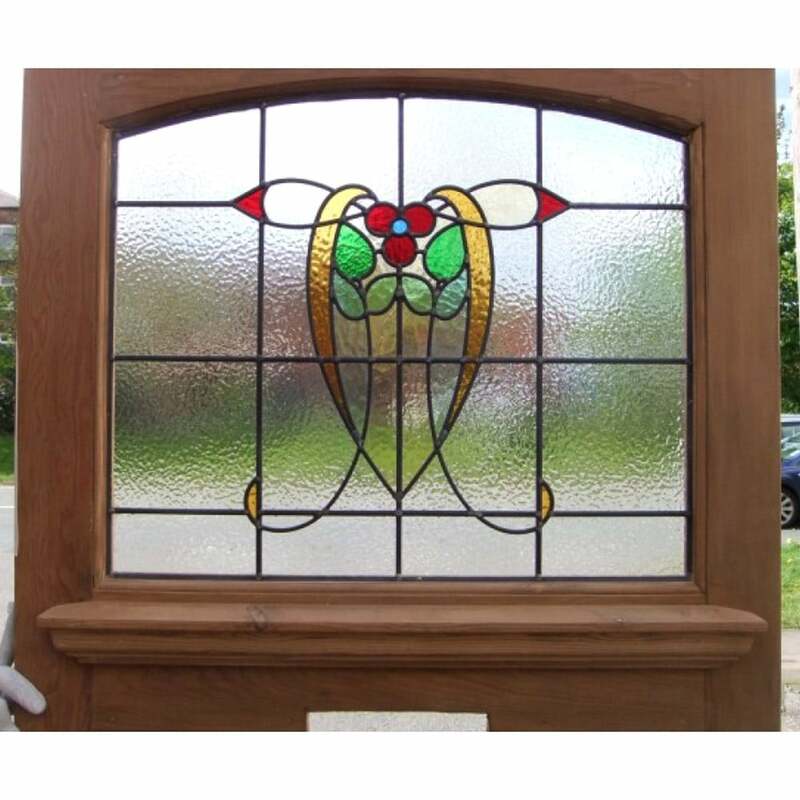 It features a single arched top stained glass panel with an Art Nouveau yellow tulip design. 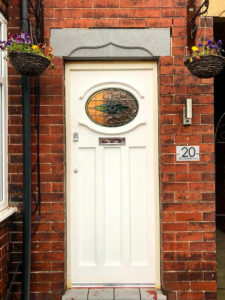 If you’d like a front door created to update the look of your home, please get in touch to discuss your requirements.